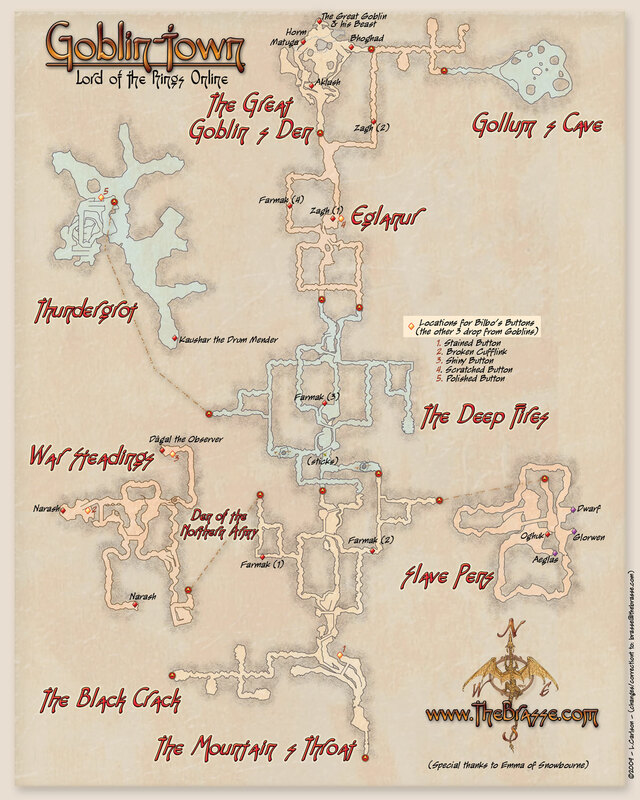 Here is a map of Goblin town. I have found it to be very helpful. Thank you for this Thangwen! Here is the one for Nala Dum (Solo) Instance. Here is a walk through that is quite helpful for this stage in the Epic quest through Moria. Ithilhathol is now one of the dye keepers for The Ravens. Here is a dye list thus far. Just drop her a mail or give a hollar here if you when any are needed. Here is a dye list in Mornithil’s vault. Just drop her a mail or give a hollar here if you when any are needed. While out and about in The Trollshaws today, I found a spot where the mats re-spawn quickly. I came out with quite a haul. Scholar Mats, Ores and Lebrathon Wood. Downside – Under level 45’s, a fellowship will be helpful to have! Ithillaer is up to Westemnet in farming, and Master level in Scholar and Weaponsmith. Send her a mail if you need anything! a MUCH needed resource for this deed! I always get lost in there. YAY! I was hoping you would post this!